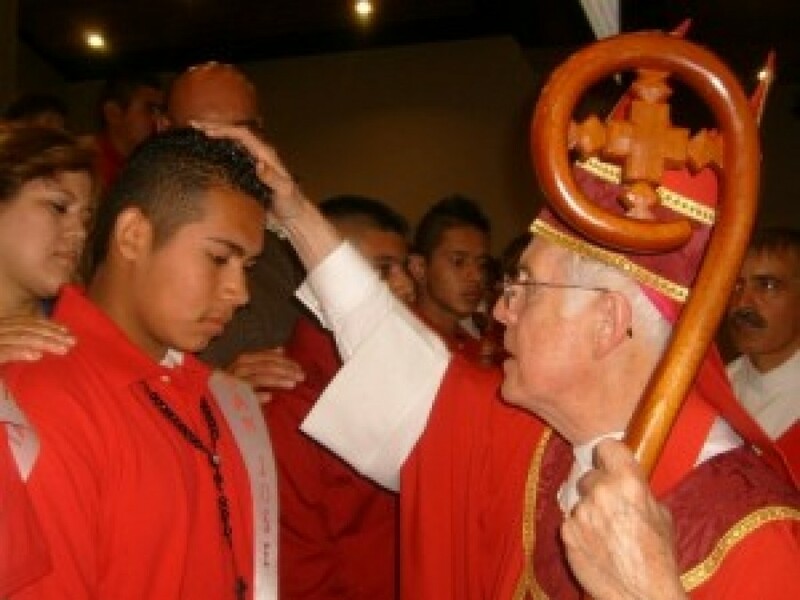 Confirmation is the second of the Sacraments of Initiation. It is that sacrament whereby the those that have been previously baptized are more perfectly bound to the Church. They are enriched with special grace by the Holy Spirit as a true witness of Christ and are therefore more strictly obliged to fully defend their faith in word and deed. Originally when someone was initiated into the Church they went through a process of education and introduction into the beliefs and teachings of Christianity. On the night before Easter they were brought into a room with a pool for bathing where they were disrobed and baptized in the pool or bath. On the other side of the pool they emerged and were clothed in a new white garment. They were then anointed and welcomed into the community by the bishop. This was their confirmation of acceptance into the community of the faithful. They were then escorted to another room for a banquet that included the Eucharist. These were the Sacraments of Initiation – Baptism, Confirmation, Eucharist. As time went by and the Church began to grow the local bishops could not be with all of the initiates for this formal process. Eventually the Baptism and Eucharist were performed by the local priest and the Confirmation was delayed until later when the bishop could be present. Later as the understanding of the transubstantiation of the bread and wine into the body and blood of our Lord was better understood and appreciated this portion of the ritual was delayed until a child was deemed to be an acceptable age, thus separating Eucharist from Baptism. Through time they have evolved into three distinct Sacraments. Each significant and unique but all part of a process of introduction into the Church. While we are encouraged to receive Eucharist as frequently as possible we only require, and receive Baptism and Confirmation once. In the past Confirmation has been inaccurately described as the point of our spiritual maturity or a Catholic Bar Mitzvah. The resistance to associating the sacrament with maturity is perhaps to an implied completion. We believe our spiritual development is life long and that Confirmation is a significant step in this process but not the completion of it. That is reserved for when we meet our God and our spiritual journey is complete. Confirmation perfects our Baptism. Since this is the case we are obliged to receive Confirmation. Current tradition in the United States sets the age in the late teens. 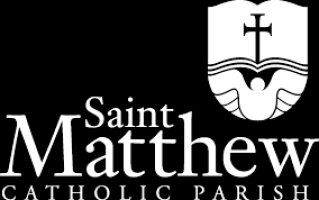 St. Matthew has a Youth Ministry program that begins in the first year of high school and takes three years to complete. A child should already have received the Sacraments of Baptism, Reconciliation and Eucharist. Please contact the parish office if you have a child of the appropriate age. Adults who have not yet been Confirmed should pursue it through the RCIA program and should also contact the parish office, 951-737-1621.